Being able to do what you love, whether it’s as a hobby on the side whilst you’re working or if you’re lucky enough to do it full time, is incredibly rewarding and so, so fulfilling. In June 2017, a podcast called ‘Just Make The Thing’ launched as part of the Australian Podcasting Network ‘Planet Broadcasting’. Having been a big fan of some of the other shows that the network put out, I decided to give this new one a try - and I’m so pleased I did. I’ve been writing and wanting to write for as long as I can remember, but without even realising it I had stopped. The last time I had written something because I loved to write was 3 years ago and I realised that, in the words of the podcast, I had stopped making the “Thing” that I loved to make. Listening to the hosts, Claire and Chanel, talk about how they are on their own creative journeys made me stop and think about what I could do to get back on mine. There are times, it can feel like it all gets a bit too much, for anyone who is creative. You want to keep doing what you love to make or do, but it can seem so overwhelming.In this post, I want to show you 5 ways you can keep yourself inspired to, in the words of Claire and Chanel, “Make the Thing”. Pause for a minute. Don’t try and force the thing to be made. Take a few minutes (or an afternoon, or a day) to leave behind the work and the lack of inspiration. Stepping away from a project, even briefly, can help push you forward to keep working. Go for a walk, watch an old film, try and make sure whatever you’re doing when you’re taking a break isn’t related to the thing you want to make. Treat yourself to some time that is completely focused on you, even if it’s just walking to the shop. Looking after yourself is more important than forcing your way through the work and the work will be better when you approach it again. 4. Tell someone about your project: hold yourself accountable by setting deadlines. Having people in your life who are on-hand to keep you on track whilst you are making your thing can be a massive encouragement. People who want to see you do well, who will pick you up when you’re feeling uninspired, people who support and encourage you to move forward but who will also be honest when you need things to be reviewed and given feedback. Having deadlines can help you focus and push you to get the thing made. We all can have that feeling of “I’ll get to that tomorrow”, even if it is something you love to do. Procrastination can hit you no matter what it is you have to do. Push yourself through that feeling and get the ball rolling by setting a deadline and telling someone you know will hold you accountable to it. Sometimes you just need to take the time to step back from making the thing and remember what made you want to start in the first place. Who was it that first introduced you to the thing you love to make? 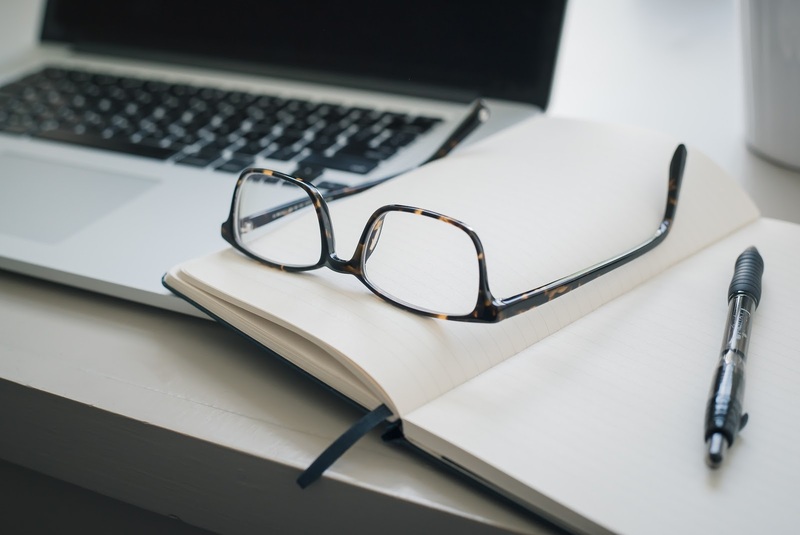 Was it a book that you discovered that triggered your need to write? Find that book and read it again. Was it a family member who taught you to start making your own candles? Invite them over and make some candles together! Go to a local craft fair, and meet some people who love doing what you do. Go to a museum and get yourself inspired by looking at the work of other artists. You don’t even need to leave the house - look through your old work, remind yourself how far you’ve come and why you pushed yourself so much to get to where you are today. Reminding yourself why you love making the thing is crucial if you need re-focusing and re-centering. You chose this path - it’s important to remember why. 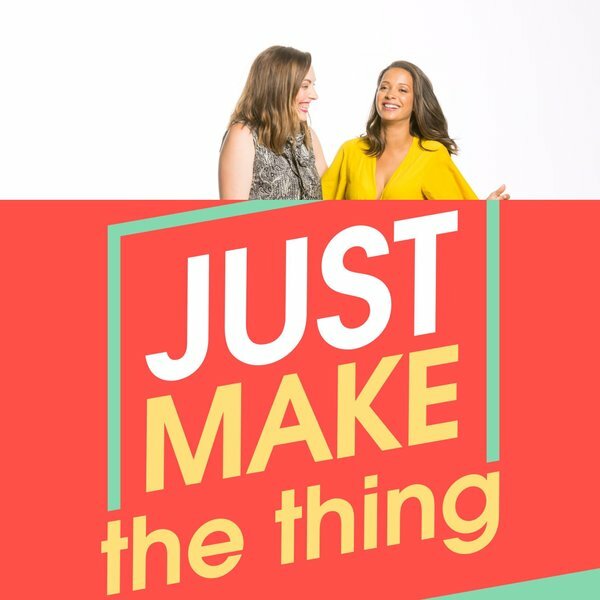 ‘Just Make The Thing’, a podcast by Claire Tonti and Chanel Lucev, is dedicated to the idea of starting a thing and keeping on making it. Claire is a self-confessed starter-of-things who never finishes them and started the podcast with her friend Chanel to talk about the struggle that comes with getting a thing you started finished. Including interviews with some of Australia's most interesting ‘Makers of Things’ including comedian Wil Anderson, Podcaster and YouTuber Mr Sunday Movies and artist Clare James, this podcast is a great way to re-inspire yourself. Hearing stories of people struggling to make something they love and trying to find new ways to motivate and push themselves shows that no matter what the thing you want to make is - everyone feels the same way sometimes. As simple as it sounds, the number one thing you can do to keep yourself inspired is to just get on with making the thing! I’ve spent a lot of time recently trying to pull myself back into doing what I love to do - these five things are what got me back on track. I took a break from forcing myself to write, but my partner is still expecting the first draft of a script by the end of the month. I’ve re-read my favourite book, ‘Will Grayson, Will Grayson’ by John Green, again and again. To and from work, I’m listening to ‘Just Make The Thing’ and other podcasts that are centered around what I love to do. And I’ve just started writing again. Remember that you started “Making the Thing” because it was something you loved to make, so keep on pushing. You’re going to be great. Comment below to let us know about the thing you’re trying to make and if you have any projects that you need some inspiration for. You can also find me on Twitter @SteveHanmer where you can see if I’ve kept on track with my own writing and also be sure to listen to the Just Make The Thing Podcast to continue to be inspired.